"By dint of making sacrifices, a man grows interested in the person who exacts them. Great ladies, like courtesans, know this truth by instinct. " 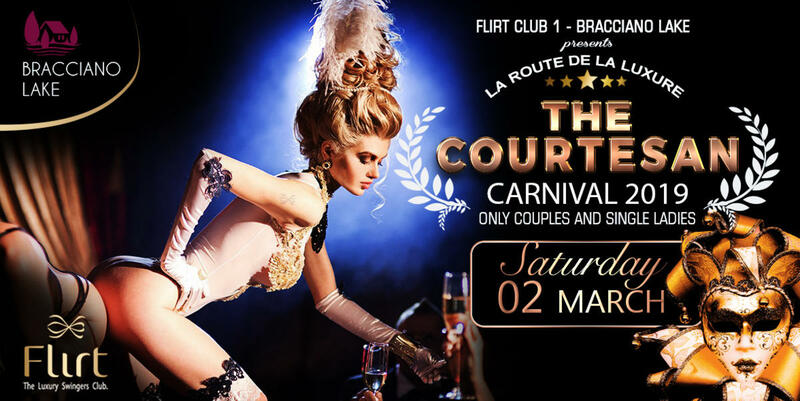 As a custom of FLIRT Club, THE EVENT IS NOT OPEN TO EVERYONE and you will not find the exact address online; it will be mailed exclusively to couples accepted at the event. For HIM: 700 themed costume, Vintage Costume, or dark suit, white shirt and venetian mask. from the beginning of the evening until 1:30 am. After 1:30 the mask is optional. Members who do not respect this rule will be forbidden to participate in subsequent events. Those without a mask can buy it at the entrance. € 140 - Under 35 y.o. The membership card is valid for 365 days and is obligatory for all those who wish to participate in activities of the club and events. The membership card is valid for both venues.